In a saucepan placed over medium heat, melt the butter. Add the crushed garlic bulb and whole bay leaves. Cook until the onions turn golden brown. Add the vinegar, soy sauce, salt, sugar and peppercorns to the pan. After a few minutes, remove and discard the bay leaf. Let the mixture simmer until it reduces to a thick glaze. Add a dash of TABASCO® and leave the glaze to cool. 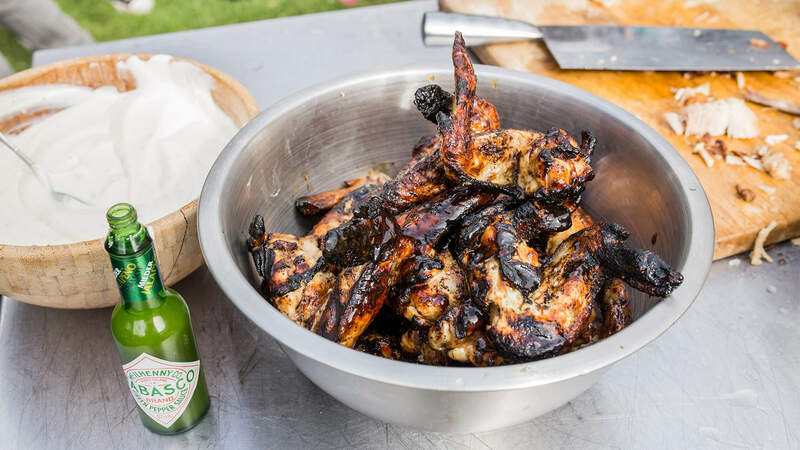 Use a charcoal BBQ to cook the chicken wings for around 15-20 minutes on each side. Cover the wings thoroughly in the adobo glaze before serving to your guests!